The Chugach National Forest is a 5.4 million acre (23,000 km²) United StatesNational Forest in south central Alaska. It is located in the mountains surroundingPrince William Sound including the eastern Kenai Peninsula and the delta of theCopper River. It is the second-largest (third-largest if the Humboldt-Toiyabe National Forest is considered as one entity) forest in the U.S. national forest system, and is the northernmost national forest. 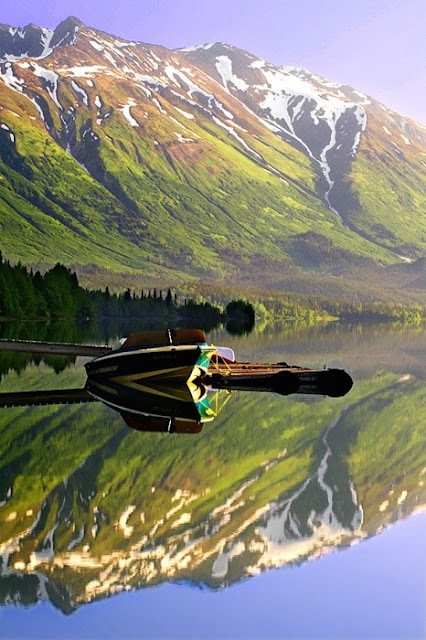 The Chugach National Forest envelops Prince William Sound and is surrounded by the Chugach Mountains. It was originally designated in 1907 by Theodore Roosevelt and was originally 23 million acres (93 000 km²) in size. Approximately one-third of the area of the forest is rocks and ice. The supervisor's office is located in Anchorage. There are local ranger district offices located in Cordova, Girdwood, and Seward. Though the Chugach forest is largely wild, with only 90 miles (140 km) of Forest Service roads, none of it is currently designated as wilderness. In descending order of land area within the forest it is located in parts of the Valdez-Cordova Census Area, Kenai Peninsula Borough,Anchorage Municipality, Matanuska-Susitna Borough, Kodiak Island Borough, and Yakutat City and Borough.